Last week while I was shocked Christmas candy had already made its appearance an aisle over from the Halloween candy, my husband was excited to try something new and bought a bag. Soon after I gave in and ate some. 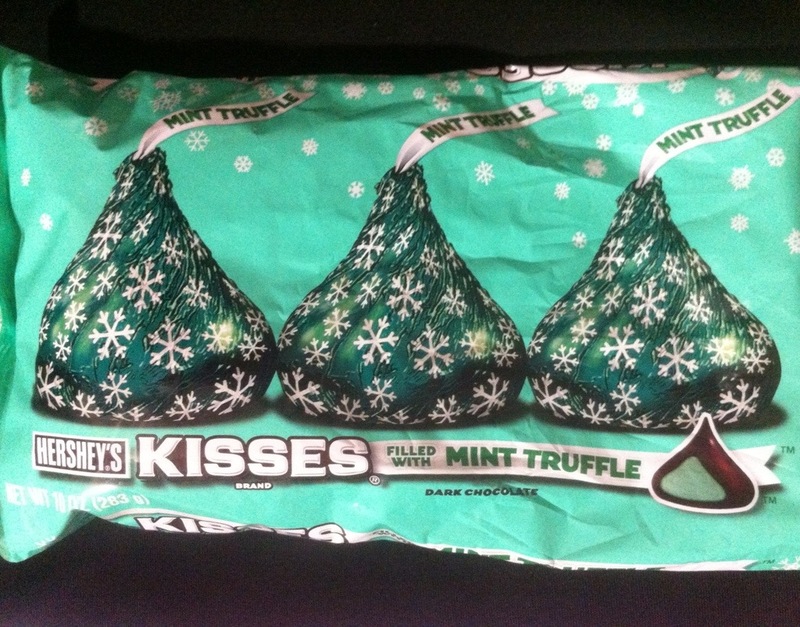 Say hello to Hershey’s Mint Truffle Kiss. 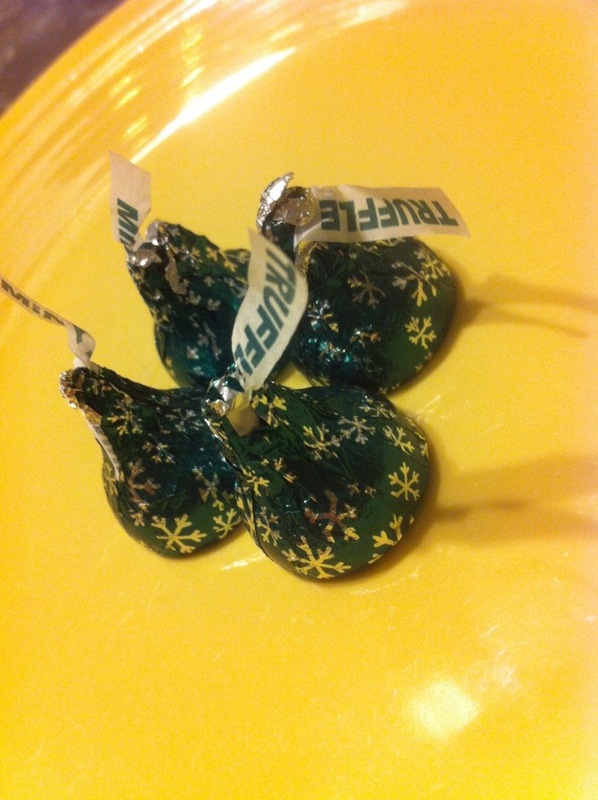 Hershey’s Mint Truffle Kiss is made of classic Hershey dark chocolate and is filled with a mint truffle center. The mint and chocolate flavor combination is a classic this time of year, and I couldn’t help but be reminded of Andes’ Chocolate Mints, also known as Andes’ Candies because the flavor of the Hershey Mint Truffle is very similar. Now, I like to keep my Andes’ candies in the refrigerator. Does anyone else do this? I like them refrigerated for two reasons: first, because my grandparents always kept a box in the refrigerator and we’d sneak in as kids and take a few; the second reason is that the mint and chocolate flavor combination seems more noticeable when chilled for some reason. Not to mention the cold little bars snap lightly when you bite into them, which, for me, is part of the ritual of eating Andes’ Candies. 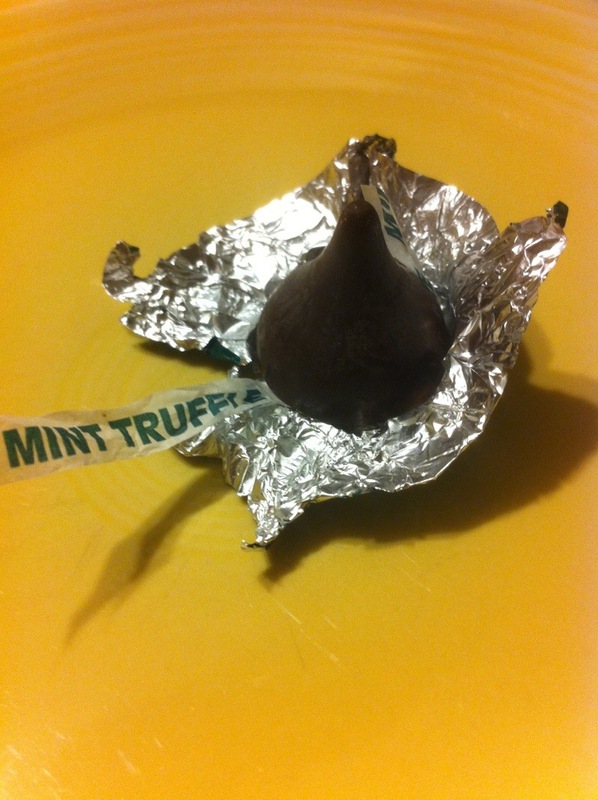 However, I did not refrigerate the Hershey Mint Truffles this time because I wasn’t sure how thick the chocolate would be surrounding the mint truffle center. 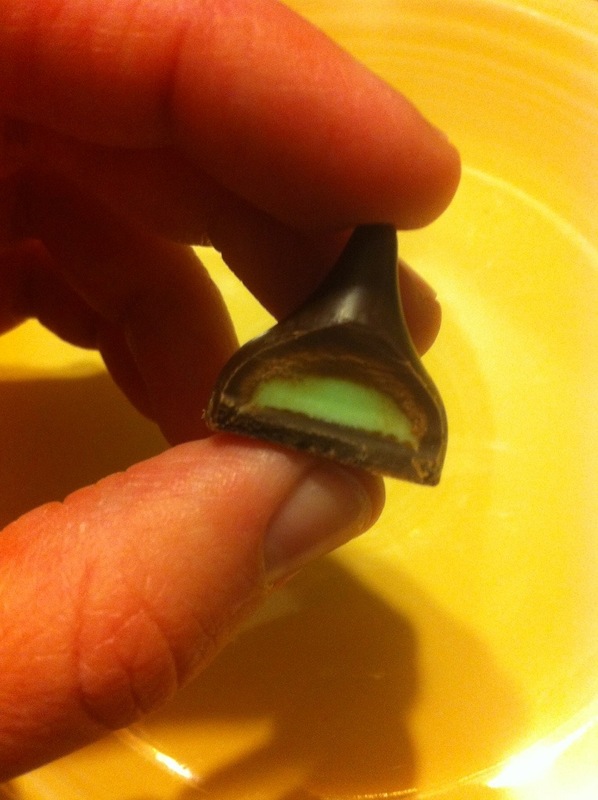 As you can see in the photo below, the Hershey Mint Truffles have a good amount of mint truffle filling in the middle surrounded by a thick coating of dark chocolate.When you bite into them they are a little hard at first as you would expect when biting into a Hershey Kiss, but then they quickly give way to the soft minty center. I’m planning to try them refrigerated next time. The holiday wrappers add a nice touch – how can you feel anything but festive and a little nostalgic over this classic chocolate and mint flavor pairing?